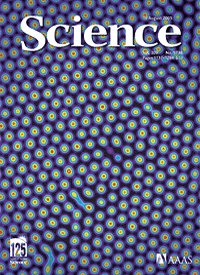 Aranda-Espinoza, H., Chen, Y., Dan, N., Lubensky, T.C., Nelson, P., Ramos, L., and Weitz, D.A., “Self-Limiting, Two-Dimensional Colloidal Aggregates Formed on Bilayer Vesicles,” Science 285, 394-397 (1999). Ozone Conversion Methods, Thin Solid Films 345, 244-254 (1999)*. 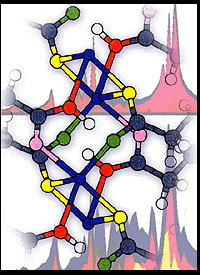 Chen, I.-W., “Structural Origin of Relaxor Ferroelectrics-Revisited,” J. Phys. Chem. Solids 61, 197-208 (1999). Chen, I.-W. and Wang, Y., “Activation Field in (Pb,La)(Zr,Ti)O3 Ferroelectric Thin Films,” Appl. Phys. Lett., 75, 4186 (1999). Claye, A. and Fischer, J. E., “Short-Range Order in Disordered Carbons: Where Does the Li Go?” Electrochimica Acta. 45, 107-120 (1999). 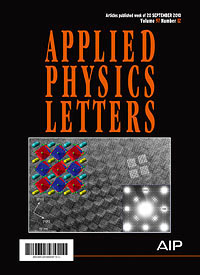 Composto, R. J., Berry, D. H., Arkles, B., Figge, L. K., Gonzalez, G. B., Pan, Q. and Wallace, W. E., “Spin-on-Glass Thin Films Prepared from a Novel Polysilsesquioxane by Thermal and Ultraviolet-Irradiation Methods,” Thin Solid Films 345, 244-254 (1999). Davies, P. K. and Akbas, M. A., “Growth of the Chemically Ordered Domains in PMN-type Relaxor Ferroelectrics,” Ferroelectrics 221, 27-36 (1999). Egami, T., “Microscopic Model of Relaxor Phenomena in Pb Containing Mixed Oxides,” Ferroelectrics 222, 163 (1999). 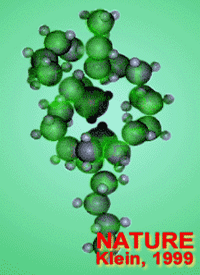 Egami, T., “Microscopic Model of Relaxor Phenomena in Pb Containing Mixed Oxides,” Ferroelectrics 222, 421-428 (1999). Heiney, P. A., Stetzer, M. R., Mindyuk, O. Y., DiMasi, E., McGhie, A. R., Liu, H. and Smith, A. B. III, “Langmuir Films of Amphiphilic Crown Ethers,” J. Phys. Chem. B 103, 6206-6214 (1999). Lee, K. K., Vohs, J. M and DiNardo, N. J., “HREELS Studies of Vapor-Deposited Polyaniline on Ag(110),” Surface Science 420, 65-80 (1999). Lee, K. K., Vohs, J. M and DiNardo, N. J., “HREELS Studies of Vapor-Deposited Polyaniline on Ag(110),” Surface Science, 420, L115-L121 (1999). Lin, V. S.-Y., Iovine, P. M., DiMagno, S. G. and Therien, M. J., “Dipyrryl and Porphyrinic Precursors to Supramolecular Conjugated (Porphinato)metal Arrays. Syntheses of Dipyrrylmethane and (5,15-Diphenylporphinato)zinc(II),” Inorg. Syntheses. Accepted for publication. Mindyuk, O. Y., Stetzer, M. R., Gidalevitz, D., Heiney, P. A., Nelson, J. C. and Moore, J. S., “Structure of a Phenylacetylene Macrocycle at the Air-Water Interface,” Langmuir 15, 6897- 6900 (1999). Pettey, D. and Lubensky, T. C., “Stability of Texture and Shape of Circular Domains of Langmuir Monolayers,” Phys. Rev. E 59, 1834-1845 (1999). Reichl, J. A. and Berry, D. H., “Recent Progress in Transition Metal-Catalyzed Reactions of the Silicon, Germanium, and Tin,” Adv. in Organomet. Chem. 43, 197-265 (1999). Tanaka, I., Ohhara, T., Niimura, N., Ohashi, Y., Jiang, Q., Berry, D. H. and Bau, R., “The Classical Structure of TaCp2(H)(SiMe2H)2,” J. Chem. Res. (S), 14-15 (1999). 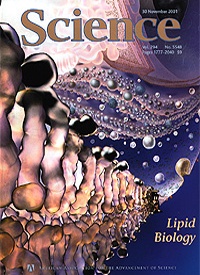 Zapotocky, M., Ramos, L., Poulin, P., Lubensky, T.C., and Weitz, D.A., “Particle-Stabilized Defect Gel in Cholesteric Liquid Crystals,” Science 283, 209-212 (1999). Angerer, W. E., Yang, N., Yodh, A. G., Khan, M. A. and Sun, C. J., “Ultrafast Second-Harmonic Generation Spectroscopy of GaN Thin Films on Sapphire,” Phys. Rev. B 59, 2932- 2946 (1999). Aranda-Espinoza, H., Chen, Y.,Dan, N., Lubensky, T. C., Nelson, P., Ramos, L. and Weitz, D. A., “Electrostatic Repulsion of Positively Charged Vesicles and Negatively Charged Objects,” Science 285, 394-397 (1999). Balasubramanian, S., Mundy, C. J. and Klein, M. L., Trimethylaluminum: A Computer Study of the Condensed Phases and the Gas Dimer,” J. Phys. Chem. B. 102, 10136-10141 (1999). 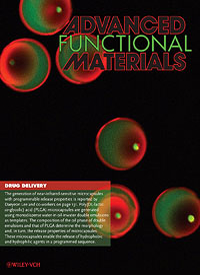 Burteaux, B., Claye, A., Smith, B. W., Monthioux, M., Luzzi, D. E. and Fischer, J. E., “Abundance of Encapsulated C60 in Single-Wall Carbon Nanotubes,” Chem. Phys. Lett. 310, 21 (1999). Chen, I.-W., and Engineer, M., “A Model for Fatigue Crack Growth in Grain Bridging Ceramics,” J. Amer. Ceram. Soc. 82, 3549-60 (1999). Chen, X., Moser, C. C., Pilloud, D. L., Gibney, B. R. and Dutton, P. L., “Engineering Oriented Heme Protein Maquette Monolayers through Surface Residue Charge Distribution Patterns,” J. Phys. Chem B 103, 9029-9037 (1999). Clauss, W., Zhang, J., Bergeron, D. J. and Johnson, A. T., “Application and Calibraton of a Quartz Needle Sensor for High Resolution Scanning Force Mircoscopy,” J. Vac. Sci. and Tech. 17, 1309-13112 (1999). Clauss, W., Bergeron, D. J., Freitag, M., Kane, C. L., Mele, E. J. and Johnson, A. T., “Electron Backscattering on Single-Wall Carbon Nanotubes Observed by Scanning Tunneling Microscopy,” Europhysics Lett. 47, 601-607 (1999). Diekmann, G. R., Lear, J. D., Zhong, Q., Klein, M. L., DeGrado, W. F. and Sharp, K. A., “Exploration of the Structural Features Defining the Conduction Properties of a Synthetic Ion Channel,” Biophys. J. 76, 618-630 (1999). Dinsmore, A. D. and Yodh, A. G., “Entropic Confinement of Colloidal Spheres to Corners on Silicon Substrates,” Langmuir 15, 314-316 (1999). Dioumaev, V. K., Plössl, K., and Berry, D. H. “Formation and Interconversion of Ruthenium-Silene and 16-Electron Ruthenium Silyl Complexes,” J. Am. Chem. Soc., 121, 8391-8392 (1999). 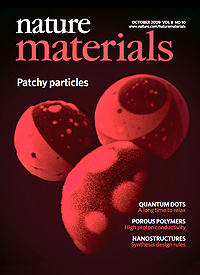 Discher, B. M., Won, Y. Y., Ege, D. S., Lee, J. C-M., Bates, F. S., Discher, D. E. and Hammer, D. A., “Polymersomes: tough Vesicles made From Diblock Copolymers,” Science 284, 143- 146 (1999). Dvorak, J. and Dai, H.-L., “Optical Reflectivity Changes Induced by Adsorption on Metal Surfaces: The Origin and Applications to Monitoring Adsorption Kinetics,” J. Chem. 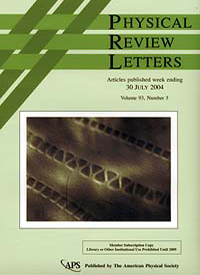 Phys., in press (2000). Edwards, A. M., Zhang, K., Nordgren, C. E. and Blasie, J. K., “Polarized XAS on Vectorially-Oriented Single Monolayers of Cytochrome c,” J. Synchrotron Rad. 6, 411-413 (1999); Biophys J. 76, A18 (1999). Fischer, J. E. and Johnson, A.T., “Electronic Properties of Carbon Nanotubes,” Current Opinion in Solid State and Materials Science 4, 28-33 (1999). 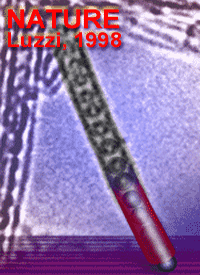 Fischer, J. E., Claye, A. and Lee, R. S., “Crystallography of Intercalated Nanotube Lattices,” Liq. Cryst., accepted for publication (1999). Genzer, J. and Composto, R. J., “The Interface Between Immiscible Polymers Studied by Low Energy Forward Recoil Spectrometry and Neutron Reflectivity,” Polymer 40, 4223-4228 (1999)*. Gibney, B. R., Rabanal, F., Skalicky, J. J., Wand, A. J. and Dutton, P. L., “Iterative Protein Redesign,” J. American Chemical Society 121, 4952-4960 (1999). Gibney, B. R. and Dutton, P. L., “Histidine Placement in De Novo-Designed Heme Proteins,” Protein Science 8, 1888-1898 (1999). Huff, B. J., Krich, J. J., and Collings, P. J., “Helix Inversion in the Chiral Nematic and Isotropic Phases of a Liquid Crystal,” Phys. Rev. E, submitted (1999). Hyslop, A. G., Kellett, M. A., Iovine, P. M. and Therien, M. J., “Suzuki Porphyrins: New Synthons for the Fabrication of Porphyrin-Containing Supramolecular Assemblies, J. Am.Chem. Soc. 217, U1119, Part 1 (1999). Kuhlmann-Wilsdorf, D. and Winey, K. I., “Does Plastic Deformation Proceed Near Thermodynamic Equilibrium? The Case of Shear Induced Kink Bands in Lamellar Diblock Copolymers,” J. Applied Physics 85, 6392-6399 (1999). Lam, H.-T. and Vohs, J. M., “Surface Reactions of Trimethylgallium on MOVPE-Grown GaN(0001),” Surface Science 426 (1999). Lefebvre, J., Lynch, J. F., Llaguno, M., Radosavljevic, M. and Johnson, A. T., “Single Wall Carbon Nanotube Circuits Assembled with an Atomic Force Microscope,” Applied Physics Letters 75, 3014-3016 (1999). Lewis, S. P. and Rappe, A. M., “Structural and Vibrational Properties of Carbon Monoxide Adlayers on the Copper (001) Surface,” J. Chem. Phys. 110, 4619-4633 (1999). Menon, M. and Chen, I.-W., “Bimaterial Composties via Colloidal Rolling Techniques, I. Microstructure Evolution during Rolling,” J. Amer. Ceram. Soc. 82  3413-21 (1999). Menon, M. and Chen, I.-W., “Bimaterial Composties via Colloidal Rolling Techniques, II. Sintering Behavior and Thermal Stresses,” J. Amer. Ceram. Soc. 82  3422-29 (1999). Menon and Chen, I.-W., “Bimaterial Composties via Colloidal Rolling Techniques, III. Mechanical Properties,” J. Amer. Ceram. Soc. 82 3430-40 (1999). Mindyuk, O. Y., Heiney, P. A., Josefowicz, J. Y., Schuhmacher, P., and Ringsdorf, H., “Structural Phase Transition in Ultrathin Films of Disk-Shaped Molecules,” Liq. Cryst. 29, 31-36 (1999). Montgomery, J. K. Akbas, M. A. and Davies, P. K., “1:1 Ordered Domain Growth in La-Doped PMN-Type Relaxors,” J. Amer. Ceram. Soc. 82, 3481-3484 (1999). Nelson, P., “Transport of Torsional Stress in DNA,” Proc. National Acad. 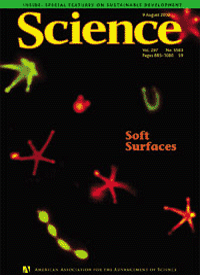 Science 96, 14342-14347 (1999). Polis, D. L., Smith, S. D., Terrill, N. J., Ryan, A. J., Morse, D. C. and Winey, K. I., “Shear-Induced Lamellar Rotation Observed in a Diblock Copolymer by In Situ Small Angle X-Ray Scattering,” Macromolecules 32, 4668-4676 (1999). Polis, D. L., Ryan, A. J., Smith, S. D. and Winey, K. I., “Nature of Viscoelasticity in Lamellar Diblock Coppolymers: Contraction Correlated to Strain Localization,” Phys. Rev. Lett. 83, 2861-2864 (1999). Ramer, N. J. and Rappe, A. M., “Designed Nonlocal Pseudopotentials for Enhanced Transferability,” Phys. Rev. B 59, 12471 (1999). Ramer, N. J. and Rappe, A. M., “Application of a New Virtual Crystal Approach for the Study of Disordered Perovskites,” J. Phys. Chem. Solids 61, 315-320 (2000). Ramos, L., Lubensky, T. C., Dan, N., Nelson, P., and Weitz, D. A., “Surfactant-Mediated Two-Dimensional Crystallization of Colloidal Crystals,” Science 286, 2325-2328 (1999). Rosenflanz, A. and Chen, I.-W., “Kinetics of Phase Transformations in SiAlON Ceramics I. Effects of Cation Size, Composition and Temperature,” J. Europ. Ceram. Soc. 19, 2325-35 (1999). Rosenflanz, A. and Chen, I.-W., “Kinetics of Phase Transformations in SiAlON Ceramics II. Reaction Paths,” J. Europ. Ceram. Soc. 19, 2337-48 (1999). Rosenflanz, A. and Chen, I.-W., “Phase Relationships and Stability of a ‘-SiAlON,” J. Amer. Ceram. Soc. 82  1025-36 (1999). 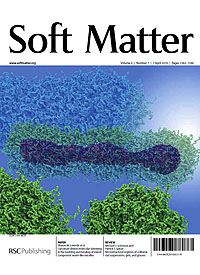 Saitta, A. M., Soper, P. D., Wasserman, E. and Klein, M. L., “Influence of a Know on the Strength of a Polymer Strand,” Nature 399 46-48 (1999). 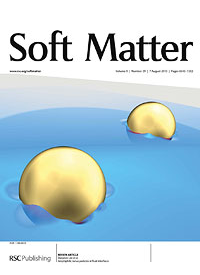 Tarek, M., Tu, K., Klein, M. L. and Tobias, D. J., “Molecular Dynamics Simulations of Supported Phospholipid/Alkanethiol Bilayers on a Gold (111) Surface,” Biophys. J. 77, 964- 972 (1999). 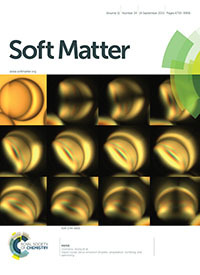 Triantafillou, M. and Kamien, R. D., “Polymer Shape Anisotropy and the Depletion Interaction,” Phys. Rev. E 59, 5621 (1999). Walsh, S. T. R., Cheng, H., Bryson, J. W., Roder, H. and DeGrado, W. F., “Solution Structure and Dynamics of a De Novo Designed Three-Helix Bundle Protein,” PNAS 96 (1999). Walter, E. J. and Rappe, A. M., “Accurate and Efficient Determination of Chemisorption Energies Using Pseudopotentials,” Surf. Sci. 427, 11 (1999). Wang, H., Troxler, T., Yeh, A-G. and Dai, H.-L., “In-Situ, Nonlinear Optical Probe of Surfactant Adsorption on the Surface of Micro-Particles in Colloids,” Langmuir, in press (1999). Wideman, T., Remsen, E. E., Zank, G. A. and Sneddon, L. G., “Polymeric Precursors for BN and SiNCB Ceramic Fibers,” in Precursor Derived Ceramics, ed. J. Bill, F. Wakai and F. Aldinger, Wiley-VCR, 103-112 (1999). Brown, K. and Bonnell, D. A., “Segregation in YAG I: Experimental Study of Single Crystal Surfaces,” J. Am. Ceramic Society 82, 2423-2430 (1999). Brown, K. and Bonnell, D. A., “Segregation in YAG II: Theoretical Predictions Based on Ionic Space Charge Models,” J. Am. Ceramic Society 82, 2431-2441 (1999). Chesnokov, S. A., Nalimova, V. A., Thess, A., Rinzler, A. G., Smalley, R. E. and Fischer, J. E., “Mechanical Energy Storage in Carbon Nanotube Springs,” Phys. Rev. Lett. 82, 343 (1999). Ferrizz, R. M., Egami, T. and Vohs, J. M., “The Reaction of Ethylene on a Model Automotive Emissions Control Catalyst,” Catal. Lett. 61, 33 (1999). Fischer, J. E. and Johnson, A. T., “Electronic Properties of Carbon Nanotubes,” Current Opinion in Solid State and Materials Science 4, 23 (1999). Kaufmann, E. A., B. E., Ducheyne, P., Radin, S., Bonnell, D. A. and Composto, R. J., “Serum Proteins Affect the Surface Reaction Layer of Bioactive Glass,” Prof. 12 th Int’l Symposium on Ceramics in Medicine, Bioceramics 12, 379-82 (1999). Maliszewskyj, N. C., Mindyuk, O. Y., Heiney, P. A., Josefowicz, J. Y., Schumacher, P. and Ringsdorf, H., “Structural Phase Transition in Ultrathin Films of Disk-Shaped Molecules,” Liquid Crystals 26, 31-36 (1999). Mukundan, R., Davies, P. K., and Worrell, W. L., “Preparation and Characterization of Compounds in the BaBiO3 Ba(Ce1-xGdx)O3-x/2 System,” J. Materials Research 14, 124-131 (1999). Nemes, N. M., Fischer, J. E., Baumgartner, G., Forro, L. and Anossy, A. J., “Conduction Electron Spin Resonance in the Superconducting State of K3C60,” AIP Conf. Prof. in press (1999). Their, K.-F., Goze, C., Mehring, M., Rachdi, F., Yildirim, T. and Fischer, J. E., “Metallic Properties of the Ternary Fullerides ABa2C60 (A=K, Rb, Cs),” Phys. Rev. B. 59, 10536 (1999). Valant, M and Davies, P. K., “Synthesis and Dielectric Properties of Pyrochlore Solid Solutions in the Bi2O3-ZnO-Nb2O5-TiO2 System,” J. 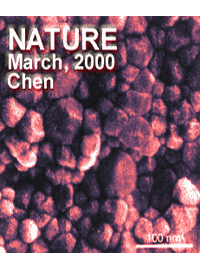 Materials Science 34, 5437-5442 (1999).